I have quite an array of old picture frames. Too good to toss of course. My daughter in-law called one day and asked if I had a chalkboard that we could use for a photo shoot. I just replied no, but I could make one. I love painting pretty much anything and I had purchased chalk paint some time ago, and finally my chance came to use my chalk paint.I just took and old 11′ by 14′ picture frame and removed glass and cardboard. I asked my hubby if he wanted to cut a piece of wood the size of the back. We just used an old board about 1/4 of an inch thick and then stapled that board to the back. After that was attached I sanded down to get rid of any rough edged and get it ready to paint. Note: The wood that is for the chalkboard needs to be very smooth-if you are using good one side plywood make sure the good side is facing in. I used Aura from Benjamin Moore black latex paint for the trim, I painted just one coat so some wood grain would still show through on the frame.The chalkboard paint I used is Americana and I was very pleased with the results. So many great uses for a chalkboard in the house from to-do lists to reminders and just for being creative.We used the chalkboard for my daughter in-laws photo shoot of her baby. Yes those are Grandma’s kisses. Lotsa fun that day! This looks like a simple DIY and could make a great gift. 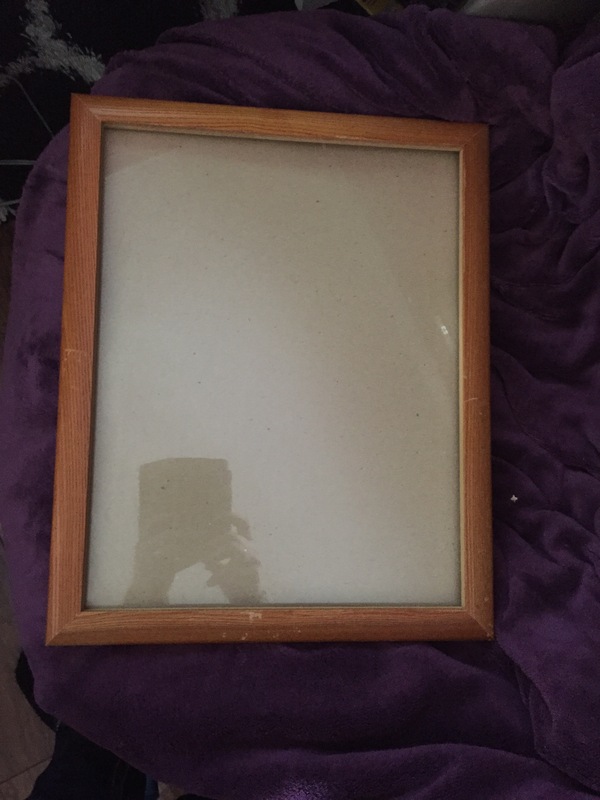 That is a great DIY project, I have some really old frames that have been passed down from my grandmother to my mother and now to me, and they are just sitting in a box in my closet, I should reuse them, you just gave me a great idea!! Oh and by the way love the picture!! 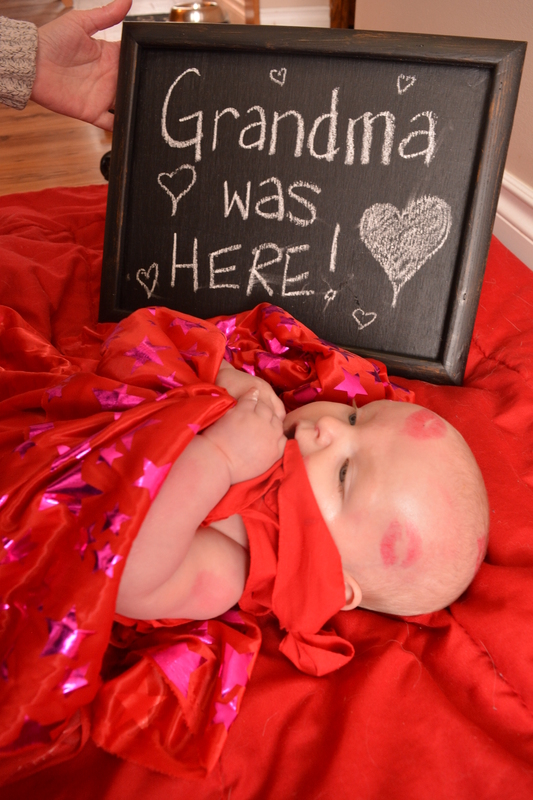 I covered my granddaughter in kisses just before her mother came to pick her up..lol gotta love our grandchildren! !